Click MR2921421 to download my review of Skobelev’s article On the Computational Security of Quantum Algorithms. Hint: Eve wins if she can control the classical channel and have good stats on the pseudo-random number generator. Researcher Tanja Lange at TU/e in the Netherlands reported to have succeed in cracking the McEliece crptosystem. The software that was used can crack the McEliece encryption system within fourteen days, with the help of the computing power of one hundred computers. This feat was carried out recently by means of several dozens of computers, scattered throughout the world, according to Lange. 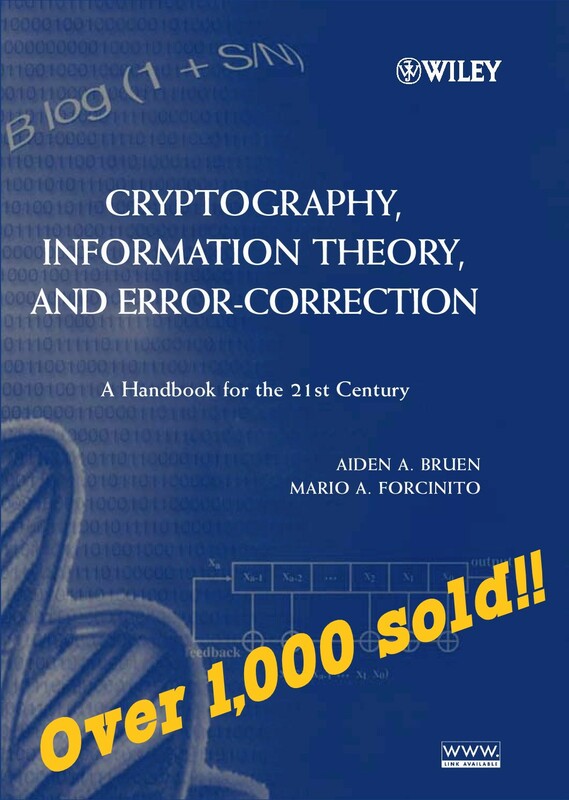 Data Security and Information Theory are essential to modern life. Far from being the exclusive domain of academics and geeks, the fundamentals and its application are easy to understand for most people. Here, my modest attempt to bring some of the issues to the public discourse and spread the knowledge to make the internet a safer place for your virtual self. © Mario Forcinito and CryptoBlog, 2007-2013. Unauthorized use and/or duplication of this material without express and written permission from this blog’s author and/or owner is strictly prohibited. Excerpts and links may be used, provided that full and clear credit is given to Mario Forcinito and CryptoBlog with appropriate and specific direction to the original content.